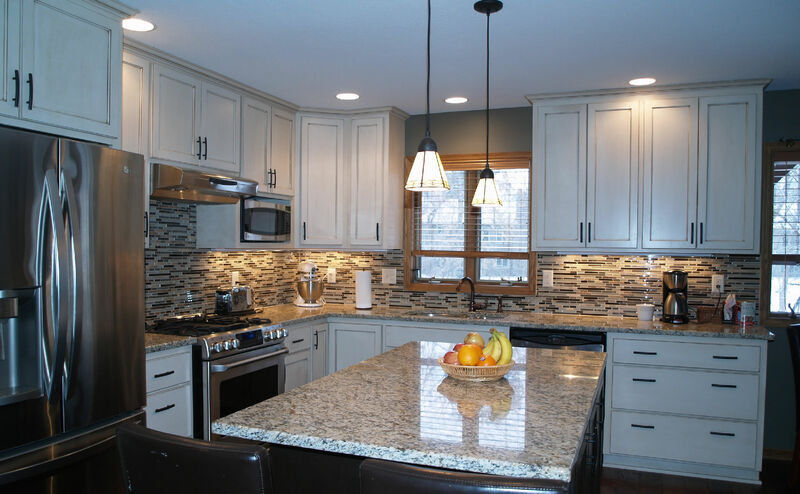 Everyone knows it’s a good idea to have notes about how you plan on using your remodeled kitchen and pictures of your dream kitchen, desired design features, and styles you like to your meeting with your home remodeling contractor. While finding the perfect pictures or making complete notes is easy if you know just what to look for, for the majority of people, knowing where to start is a huge challenge. Finding information online requires knowing the right design terms, search criteria, and questions to ask, but if you haven’t formally studied design, it isn’t easy. Houzz: Create an Ideabook for your next remodeling project! No more clipping magazine articles or bookmarking 100’s of websites. Sign up for Houzz, browse or search through 1000’s of projects and save the ones that resonate with your design taste to your personal ideabook. Then just share those favorites with your remodeling contractor when you are ready to get estimates. This show is proof that no kitchen is hopeless. The show promises beautiful kitchens, no matter how “dysfunctional and ugly”, reminding home owners that with the right help, every kitchen can be beautiful. Martha Stewart: Martha Stewart is the queen of all things domestic. Who better to turn to when it comes to the kitchen? Her ideas range from simple and homey to sleek and sophisticated. 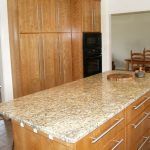 DIY Network: Shows like I Hate My Kitchen, Kitchen Impossible, and Kitchen Crashers can provide ideas; their extensive and easy-to-search archives on their website can be a great source for both inspiration and advice. 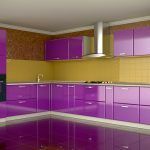 House Beautiful: Whether you’re looking for tips from experts or how to make the best out of a small space, this publication covers a broad range of kitchen-related topics. Better Homes and Gardens: For styles, color schemes, layout ideas, storage solutions, and more, look no further. Elle Décor: Although their ideas might not suit every budget, their kitchen and decorating features are just as stylish as Elle’s clothing features. Architectural Digest: This magazine is a great source for ideas from celebrity kitchens and advice about kitchens from master chefs. Dwell: With features like “101: Kitchens”, “The Intelligent Kitchen”, and “101 Kitchen Design”, beginners can learn everything that they need to know about interior design in the kitchen, covering everything from design history to symmetry. House & Home: You might not be able to get your hands on a physical copy of the Canadian publication, but their website is content-rich with countless articles and photos that will help home owners from all budget sizes plan their dream home. Interior Design: For a peek inside the kitchens of the rich, this magazine features kitchens and the stories behind them. Luxe Interiors + Design: The name says it all: for truly “luxe” ideas, look no further. Style at Home: The articles featured on their website can take you from concept to post-project with everything from kitchen designs to tips for organization and the best kitchen accessories. This Old House: This magazine offers plenty of useful advice for home owners who are thinking of remodeling their kitchen. There are many fantastic ideas to be found in regional design publications. Try Angeleno Modern Luxury, Atlanta Homes & Lifestyles, Boca Design and Architectural Review, Boston Home, Broward Design and Architectural Review, California Home + Design, California Homes, Cape Cod Home, Charleston Style & Design, Chesapeake Home + Living, Chicago Architect, Colorado Homes & Lifestyles, D Home, DC Modern Luxury, Design NJ, Florida Design Magazine, Hamptons Cottages & Gardens, L.A. at Home, Oregon Home, Palm Beach Design and Architectural Review, Toronto Home. These magazines feature much more than just kitchens, but they will help you find ideas that fit with the style of home that is predominant in your area and provide you with designs that fit your environment. 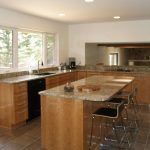 Sometimes, your favorite television show or movie can provide great inspiration for kitchens. A few famous kitchens people are talking about right now: the kitchens of Modern Family, the Cullen kitchen in the Twilight series, and Isles’s kitchen on Rizzoli and Isles. Once you have assembled a “look book” for yourself, whether you tear pages out of magazines, print pictures from the internet, or create a virtual scrapbook of ideas on your tablet, you can start the process of identifying common themes. If similar looks appear over and over again, your taste is pointing you towards the style that fits your unique style. 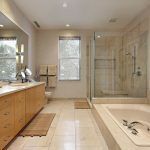 Your contractor can help you assess what is realistic for your budget, help you to craft your concept, and create a functional floorplan with the best of your ideas.